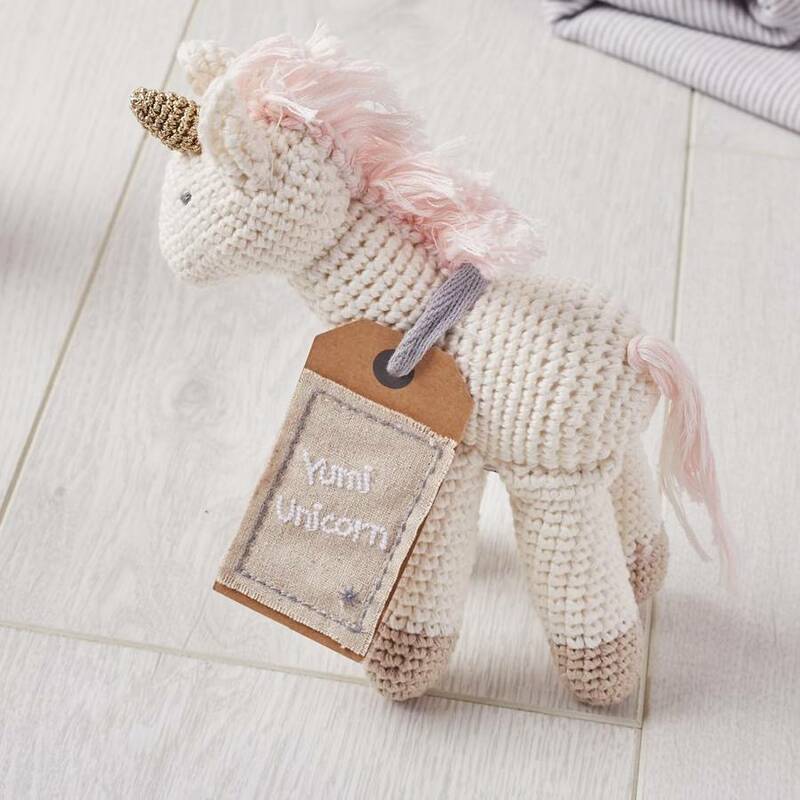 This crochet unicorn soft toy makes a really magical gift for babies and children. 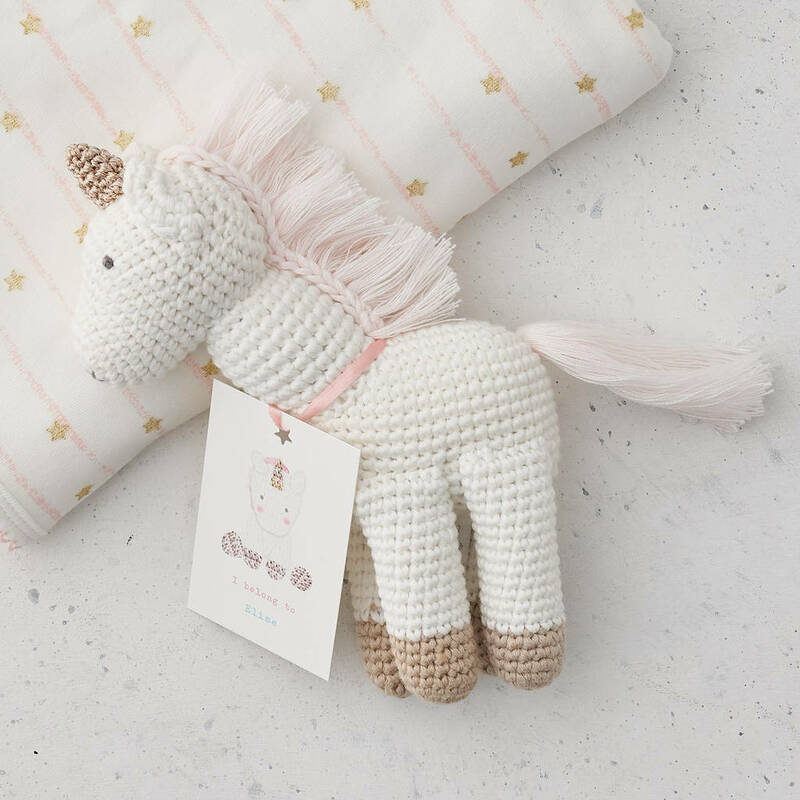 Beautifully made out of hand crocheted cotton, with a golden horn and a pale pink & white mane and tail, it's a toy that will be treasured. 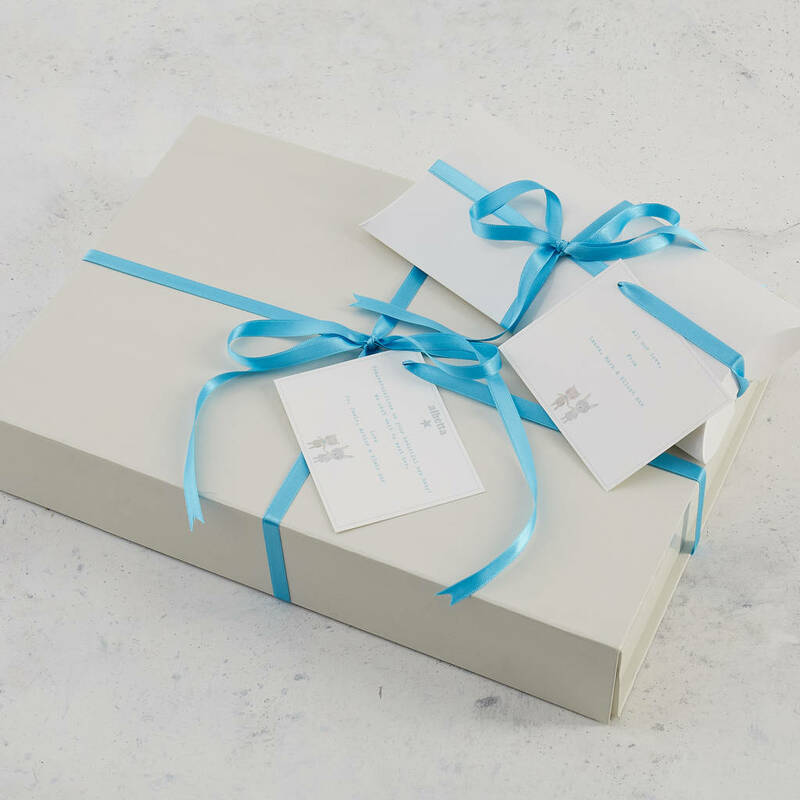 We offer the option of a gift tag personalised with the child's name and tied around the neck with ribbon. 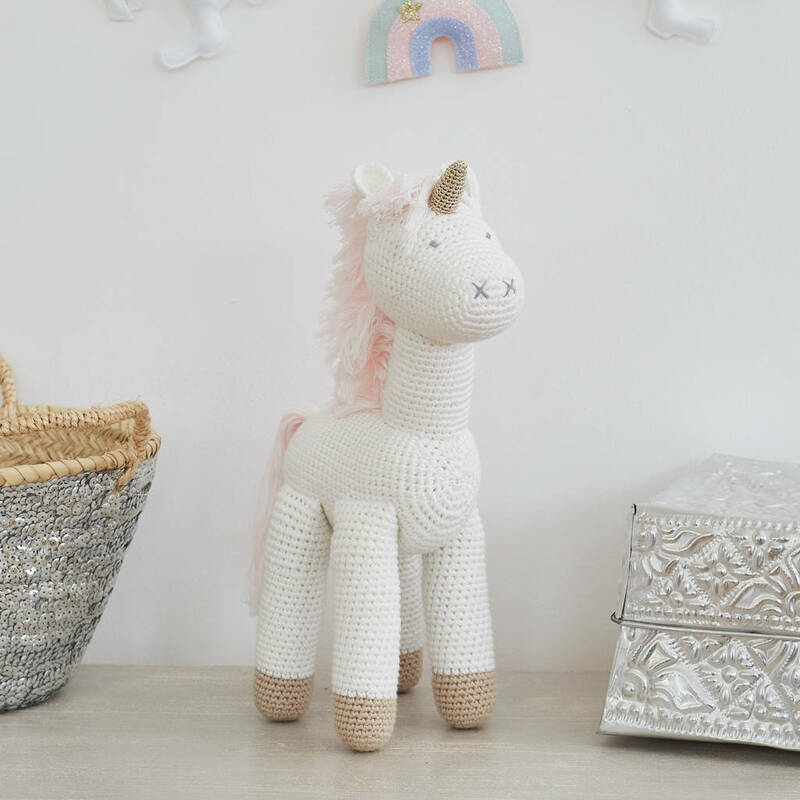 It features an adorable illustration of our little unicorn and adds a really thoughtful touch to a baby gift. 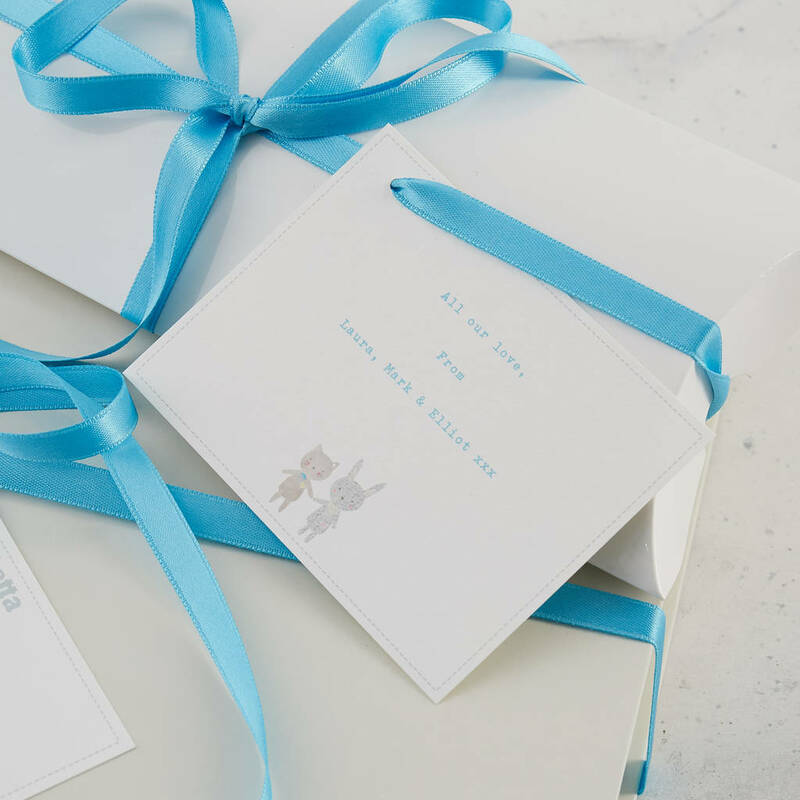 You can choose from 'I belong to', 'Happy Birthday' or 'Welcome to the World'.